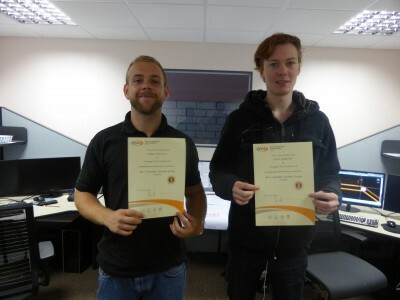 Congratulations to our Junior Design Engineers, James Morrissey and Cearn Underhill, for receiving their Fire Protection Association (FPA) certification for successful completion of the Basic Sprinkler Systems Design training course. Sound underpinning knowledge of basic sprinkler systems design. Skills in the design or approval of ordinary hazard sprinkler systems using the pre-calculated method according to LPC Rules/BS EN 12845. Knowledge of the related requirements of LPC Rules/BS EN 12845. We are delighted to have taken another great step in the development of our commercial department.